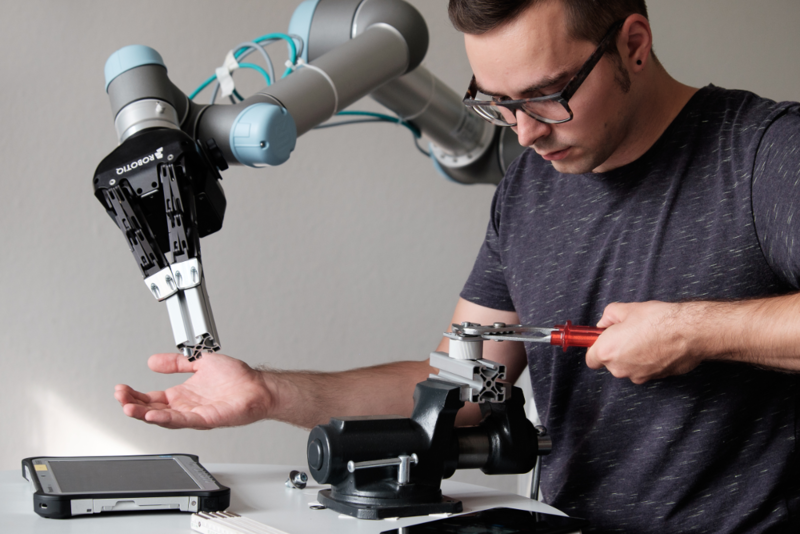 The Institute for Ethical AI & Machine Learning is a UK-based research centre that carries out highly-technical research into responsible machine learning systems. 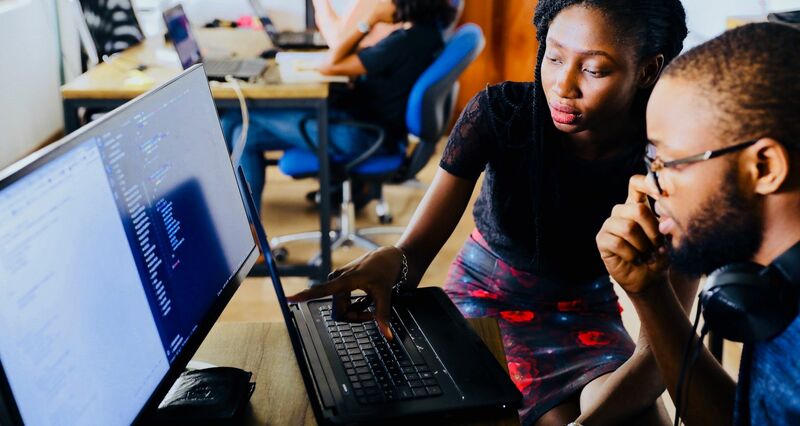 We are formed by cross functional teams of machine learning engineers, data scientists, industry experts, policy-makers and professors in STEM, Humanities and Social Sciences. We are a research centre that carries out highly-technical, practical and cross-functional research across the 8 Machine Learning Principles. We work with industry, academia and governments to develop frameworks and libraries that align with our 4 phases towards responsible AI. Empowering leaders through practical industry frameworks and applied guides. Empowering entire industries through our contributions to industry standards. Empowering entire nations through our case studies and breakthroughs. Learn more about the 8 principles below, or join the Ethical ML Network (BETA). The Machine Learning Principles are a practical framework put together by domain experts. Their objective is to provide guidance for technologists to develop machine learning systems responsibly. Below are the summarised 8 principles. For full descriptions go to the principles page. I commit to continuously develop processes that allow me to understand, document and monitor bias in development and production. I commit to develop tools and processes to continuously improve transparency and explainability of machine learning systems where reasonable. I commit to develop the infrastructure required to enable for a reasonable level of reproducibility across the operations of ML systems. I commit to identify and document relevant information so that business change processes can be developed to mitigate the impact towards workers being automated. I commit to develop processes to ensure my accuracy and cost metric functions are aligned to the domain-specific applications. I commit to build and communicate processes that protect and handle data with stakeholders that may interact with the system directly and/or indirectly. I commit to develop and improve reasonable processes and infrastructure to ensure data and model security are being taken into consideration during the development of machine learning systems. You can read the extended descriptions with case studies and examples for all the principles at the principles page. 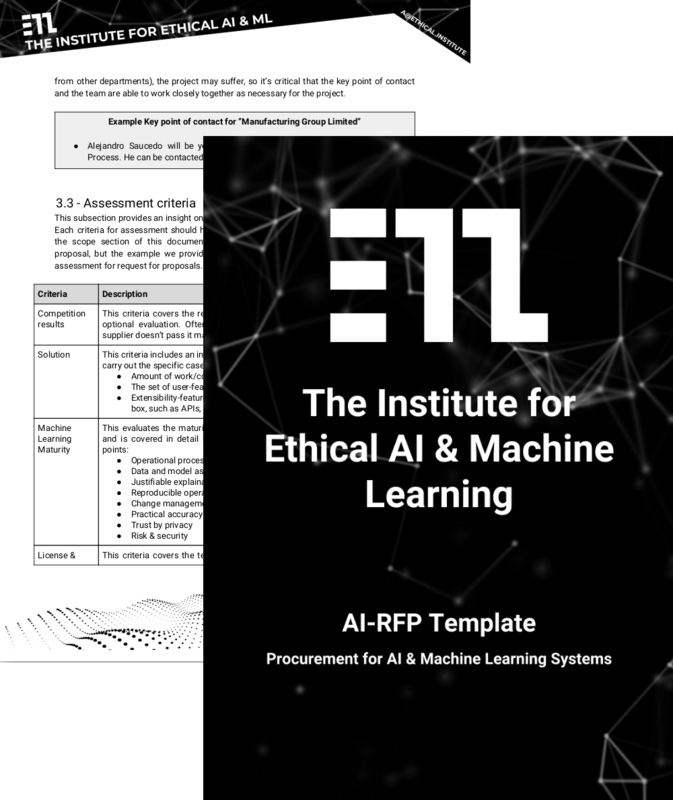 The AI-RFX is a procurement framework is a set of templates to empower industry practitioners to raise the bar for AI safety, quality and performance. The framework is open source, and converts the the Principles for Responsible Machine Learning into a checklist. More information and instructions how to download at the AI-RFX Procurement Framework Page. The AI-RFX procurement framework has been put together by a group of domain experts. Its purpose is to ensure best practices in industry during the procurement, design, devleopment and integration of machine learning systems in industry. The framework goes beyond the AI algorithms and provides a method to assess the maturity of the processes and technical infrastructure around the algorithms. The rramework consists of a request for proposal template as well as an assessment criteria template that is based on our Machine Learnign Maturity Model which can be downloaded at the AI-RFX Procurement Framework page. We are a UK-based think tank that brings together technology leaders, policymakers & academics to develop industry standards for Data Governance & Machine Learning. A professor or academic doing research related to AI, Data, Privacy and/or ML. The "Ethical ML Network (BETA)" is a play on words which reinforces our core ethos. 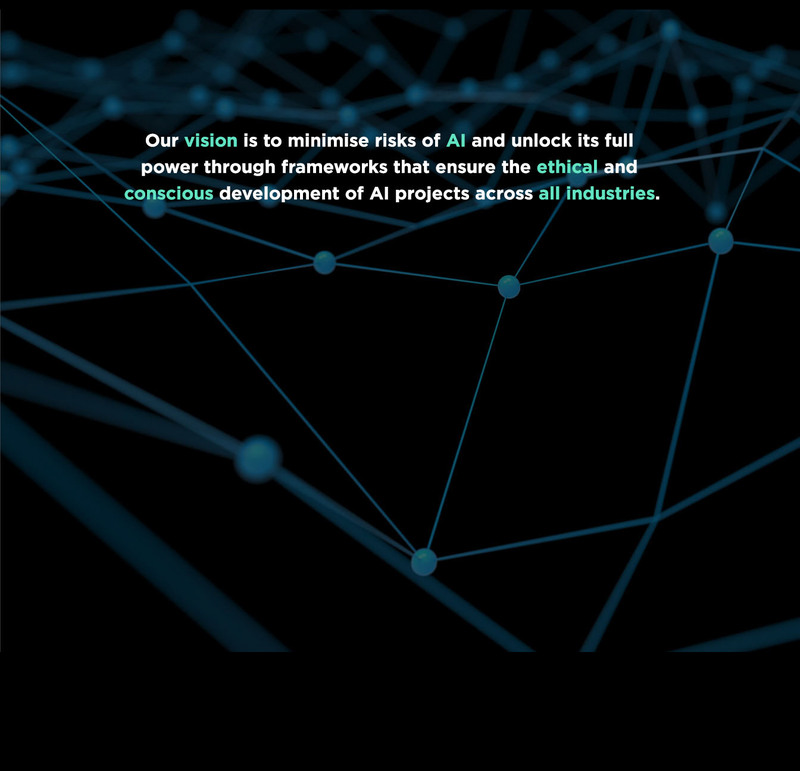 We believe that the only machine learning network that can be induced with ethics in practical industrial usecases is one made out of responsible and aligned humans who advocate for best practices during the design and development of machine learning systems. This is reinforced in each one of the Machine Learning Principles.